Note: The photographs on this page (excluding the last back & white) were taken by the author: Norman Brown and may not be reproduced without written permission. Copyright © Laws apply. 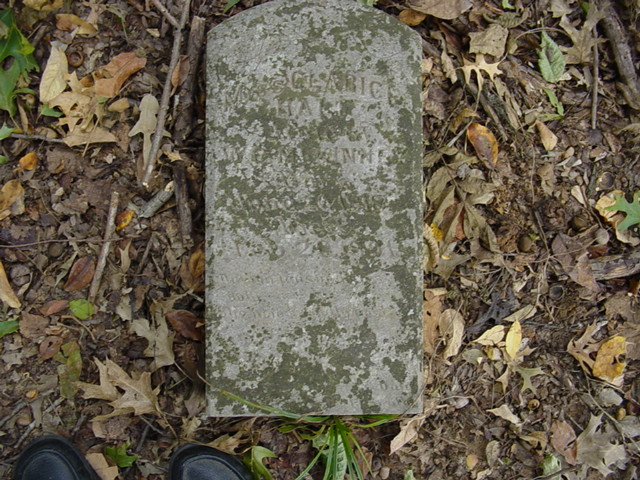 Franklin county historian Mr. Norman Powell told me about an old cemetery which he said a lot of people believed to be an Indian Cemtery but was not and gave me the approximate location as well as the name of the land owner. Being my wife is from franklin County, she knew the land owner so we set out one day with camera, pen & paper, water, food, and insect spray to locate it. "The cemtery is located near the Arkansas River and in the woods on the backside of my property. The cemetery is not fenced but some descendants contacted me some years ago and asked permission to fence the place and I gave them the ok but they never got around to doing it. Now, you are welcome to go back in there and visit the cemetery but look out for the Bulls. We drove east from the paved road for about a mile and stopped at a gate. We debarked the SUV and walked through the gate and looking closely we started spotting headstones. Fallen trees, limbs, cow manure,leaves, and weeds. The cemtery is in a bad state. 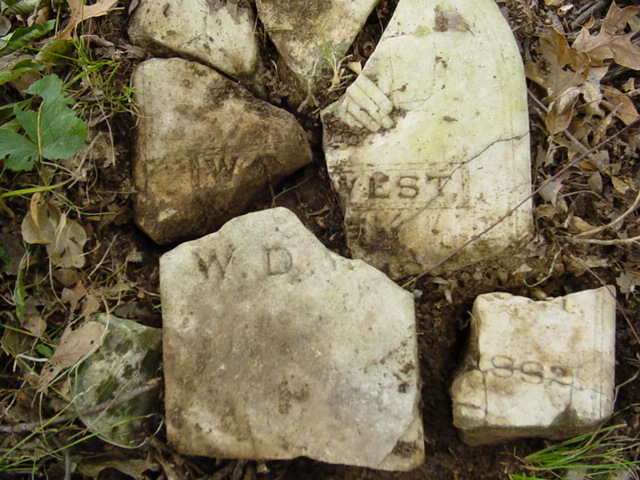 We cleared the graves and uncovered some stones that were beneth the surface and found some broken headstones which we put back together. I noticed that the feet of the graves all pointed east. This means Protestant religion. 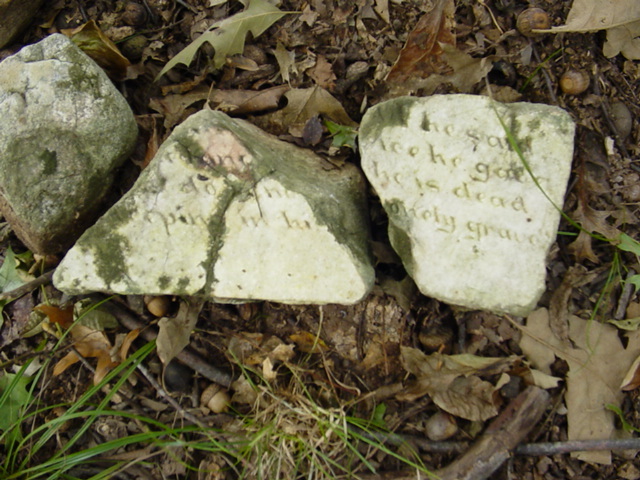 The graves were "Tent type" and most of the headstone were just sharp pointed slabs of rock. No markings on many of these graves. We did find a few headstones with inscritptions. One was David C. Hail and he was the son of an early Franklin County Pioneer, William Hail who was the first Post master in Ozark (1837). After further discussion with Mr. Powell we learned that there had been a camp meeting and tainted food was served. Many became ill and died of food poisioning. Exactly how many or the actual date is unknown. 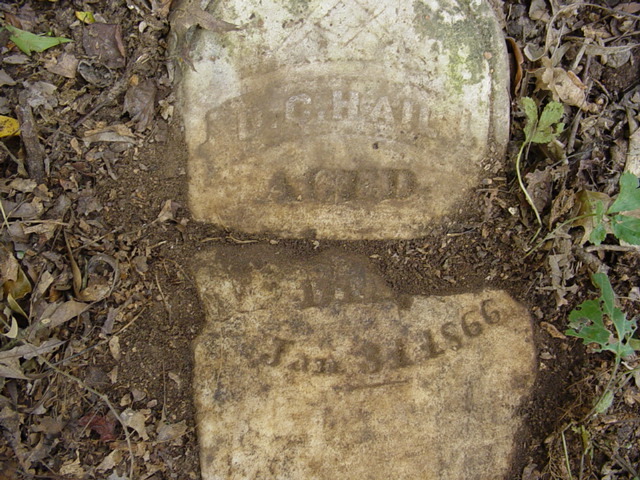 Mr. David C. Hail was one of those and his Headstone indicates he died Jan 31, 1866. Another was dated 1882. According to Mr. Powell many of the graves were those of slaves who died prior to the end of the civil war. This may account for the large number of sharp slabs that abound within this small cemtery which I call the "Hail Cemetery". 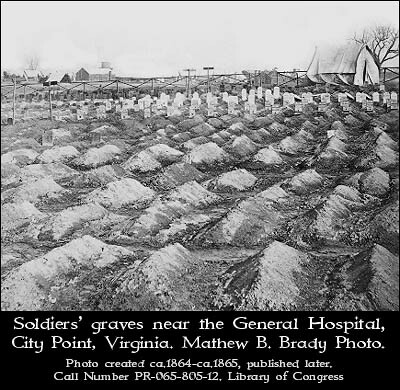 During the civil war, When a grave was dug, the earth is set aside, the coffin (or perhaps a shroud wrapped body) is placed in the grave, then the earth is replaced on top of the coffin. Since the volume of the coffin has displaced some earth that will no longer fit in the grave, the earth is placed above ground level. Over time, the coffin decomposes, as does the body, and with the advent of rain, the earth slowly compacts downward. The triangular mound may totally disappear leaving a shallow depression. However, there was a time when it was believed that mounded earth over the grave would deter water from entering the grave. The placement of two simple slabs over the mound would even further deter the water from seeping through to the coffin. This triangular shape also appeared in a few early Virginia coffins. 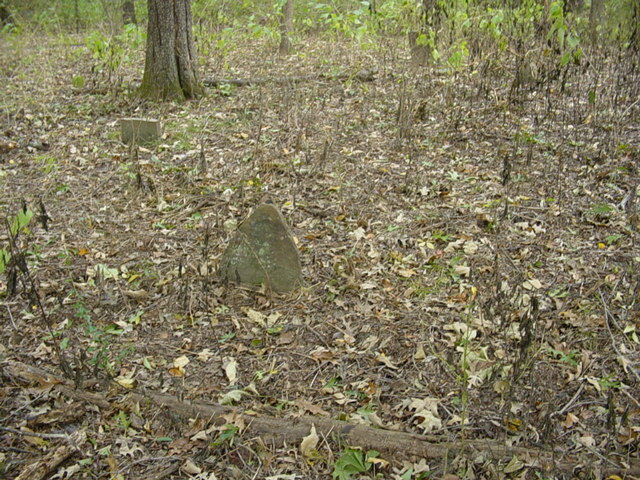 Tent grave monuments may be constructed with two slabs, either of native stone or often of concrete. 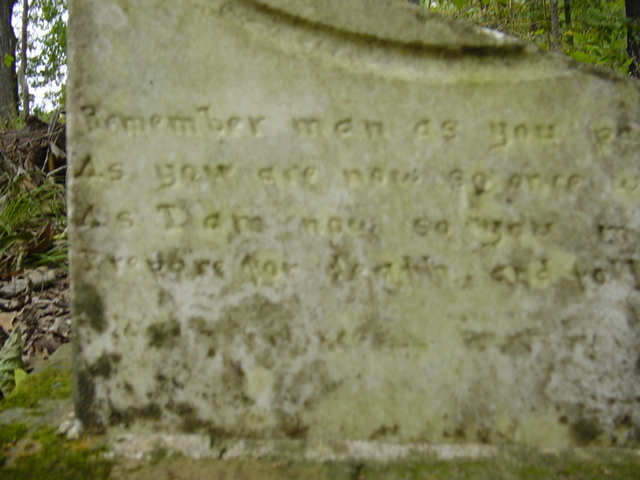 Some will have headstones, and possibly footstones. Some will have neither. 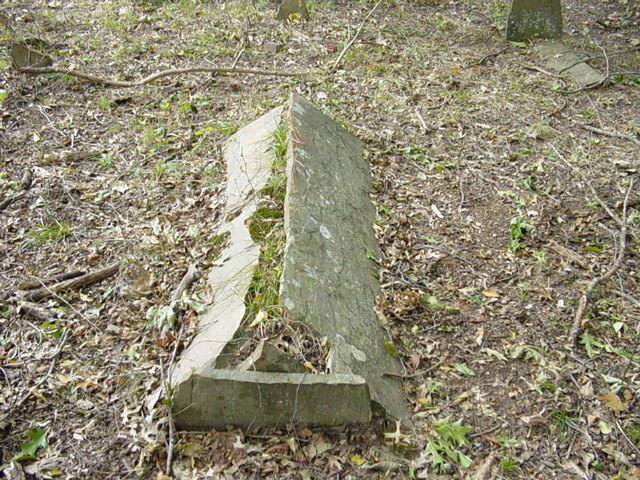 Tent grave monuments may also be constructed of unfinished stone to precisely cut ashlars. Even the size of the stones will vary, and the large ashlars will have a step effect. Falling Springs Cemtery in Overton, TN also has these Tent graves. 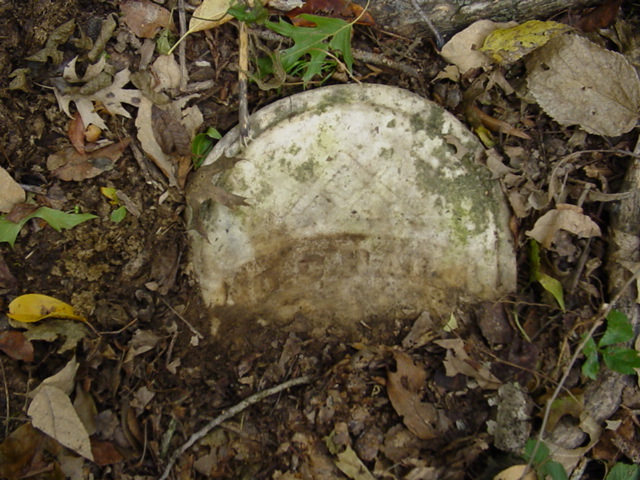 The same could be seen (dirt instead of slab) at City Point, VA (Civil war burials).